Data-driven modeling is an innovative process that enables you to analyze existing data earlier and faster. Instead of creating OLAP cubes manually, data-driven modeling allows you to generate and fill a new Jedox OLAP cube with your existing data in CSV or Excel content. The Data-Driven Modeling Wizard models the data cube from existing data automatically and intelligently. Additionally, data-driven modeling creates a complete Jedox Integrator (ETL) script that can be further specified and used to populate the data cubes on a periodic basis. Below are the requirements for the data-driven modeling procedure. Jedox Web and Jedox Integrator must be installed and the connection from Excel Add-in to Jedox Web must work correctly. 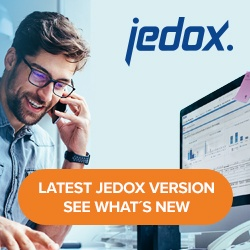 For more information, see Connecting Jedox Excel Add-in with Jedox Web. Data-driven modeling is by default set for a maximum file size of 128 MB. This default value can be changed in the file <install_path>\httpd\php\php.ini in the lines post_max_size and upload_max_filesize. To disable the limit, set the post_max_size value to 0. To use DDM in an environment with Windows Single Sign-On, see the article SSO Windows Configuration. A user requires delete (D) rights on the following rights objects: database, cube, dimension, dimension element, cell data, ste_files, ste_etl, and ste_reports.